Swim good. This is a fully smocked, high rise bikini bottom with a high cut leg. The Ventura pairs well with the Tide Bikini Top. Swim good. This is a halter neck bikini top with a center front tie. The Hermosa pairs well with the Mandalay Bikini Bottoms. Shop for PILYQ Knot Teeny Bikini Bottom in Twilight at REVOLVE. Free 2-3 day shipping and returns, 30 day price match guarantee. White knit sling bikini from Amir Slama featuring a triangle style, a halterneck, spaghetti straps, a back lace up fastening, side tie fastenings and a lining. Swimwear must be tried on over your own garments. This item is true to fit. Please note this item has a brazilian cut. Black and white brazilian style bikini bottom from Lygia & Nanny featuring an all-over print and a side lace up detail. Swimwear must be tried on over your own garments. 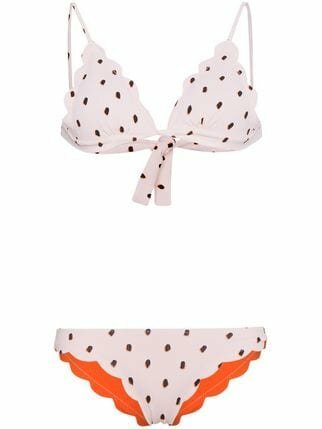 Shop for PILYQ High Waist Teeny Bikini Bottom in Jungle at REVOLVE. Free 2-3 day shipping and returns, 30 day price match guarantee. Shop for Bond Eye Rebel Ties Brief Bikini Bottom in Black at REVOLVE. Free 2-3 day shipping and returns, 30 day price match guarantee. 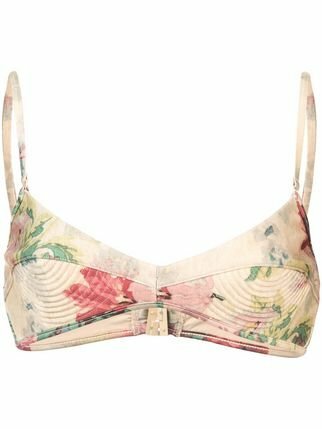 Taupe floral print bikini top from Zimmermann. Rose gold-tone ruffled bikini top from SUBOO featuring a deep V neck and a front tie fastening. Swimwear must be tried on over your own garments. 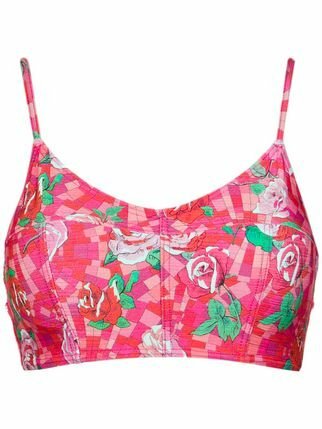 Pink floral print bikini top from Amir Slama featuring a scoop neck, spaghetti straps, an all-over print and an elasticated trim. This item is true to fit. Please note this item has a brazilian cut. 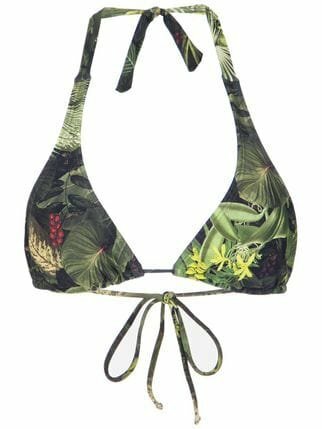 Green printed bikini top from Lygia & Nanny featuring a halter neck and a back tie fastening. Swimwear must be tried on over your own garments. This item is true to fit. Please note this item has a Brazilian cut. Multicolour Cassis printed bikini top from Lygia & Nanny featuring spaghetti straps, an all-over print and a back fastening. Swimwear must be tried on over your own garments. This item is true to fit. Please note this item has a Brazilian cut.